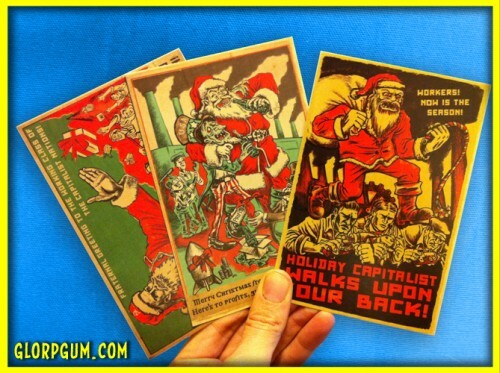 Paper Pusher » Vintage Soviet Holiday cards! 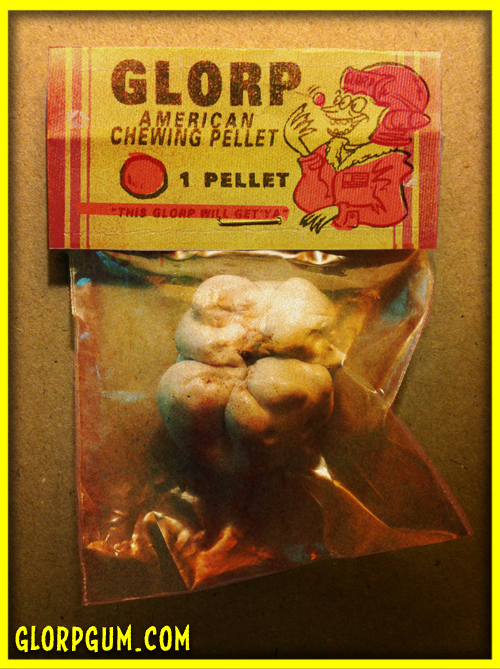 Although World War II was a trying time for the United States and the rest of the world, it was a boom time for the GLORP Gum Company. As you may recall from previous missives, GLORP Gum was sent into the skies with our brave pilots to ward off airsickness. 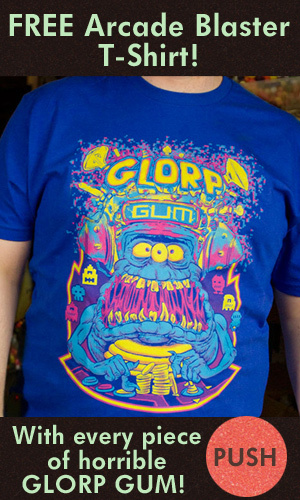 The great taste of GLORP Gum soon became the flavor of victory. The period following World War II was a strange time for GLORP Gum. 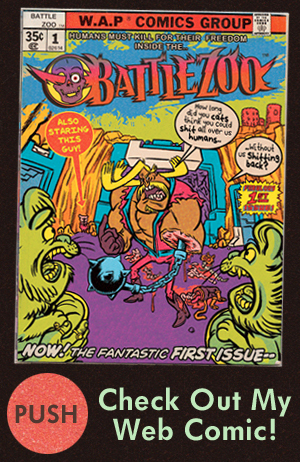 As soldiers returned home many found themselves longing for the chalky taste of their beloved airtime treat. 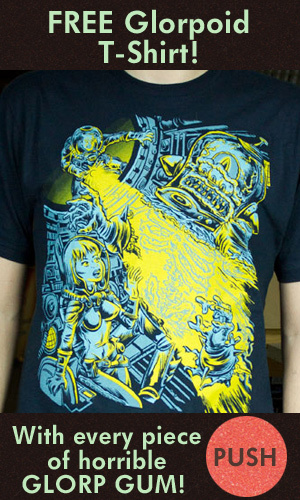 Unfortunately for our boys in blue, the US Military didn’t manufacture GLORP for market. Many soldiers tried, in vain, to create their own GLORP at home. These homemade concoctions became known as “bubble bath gum” (as it was usually made in bathtubs) or “bubble gum” for short. These gums varied widely in quality, but never had the famous “wakeup blast” that the soldiers had come to know and crave. 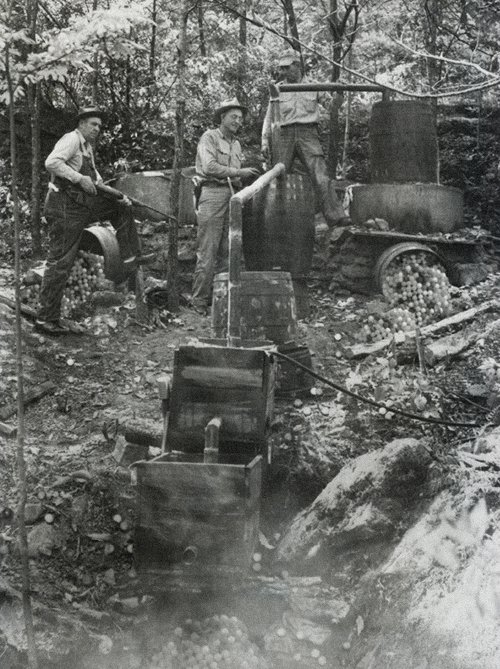 A common rural setup for making homemade GLORP-like concoctions. A Russian scientist named Rostislav Krivonogov caught wind of the “bubble bath gum” craze. 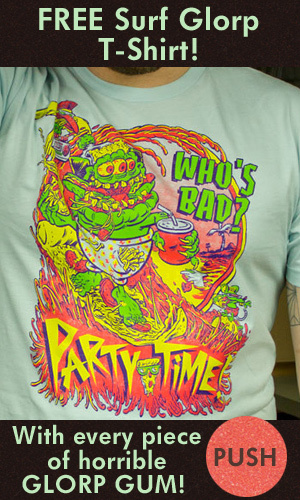 He soon cracked the GLORP formula and found that the gum’s patented “war time punch” came from a popular Russian additive known as “kickcaine” (named for it’s well known kick). This “flavor enhancer” was easy to come by in the Soviet Union, and Russian made GLORP knock-offs quickly flooded the US market. A piece of Soviet made imitation GLORP in it's original packaging. 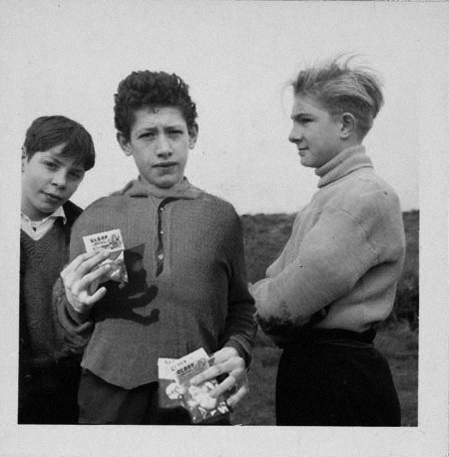 Russian immigrant children often sold GLORP chewing pellets on the streets for extra cash. Getting “US Johnnies” hooked on drug-laced wads of boiled horsemeat is considered by many historians to be the first Soviet ingredient in the “conflict soup” that would soon become known as the Cold War. This simmering pot would quickly lead the United States and the Soviet Union down a boiling nightmare river of rhetoric and propaganda. In the United States this came to a fever pitch in 1954, the height of McCarthyism. The Crusade for Freedom spearheaded a fundraising effort promoting “Truth Dollars,” which raised money for Radio Free Europe, the Freedom Scroll, and Bolshevik Bill the Freedom Ferret. 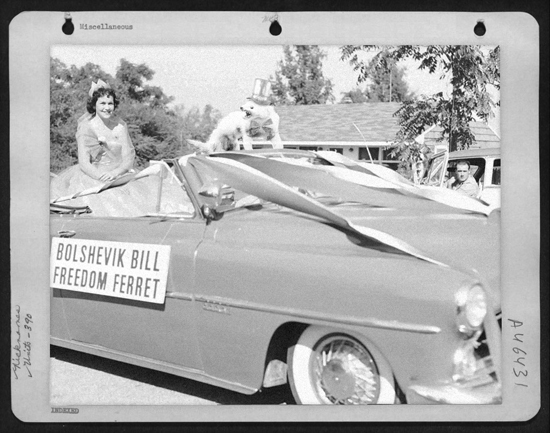 Bolshevik Bill the “Freedom Ferret” or “the red Commie weasel that changed his ways” was a grand marshal in many freedom parades across America. The Soviets were striking back with an anti-Truth Dollars campaign, and were using spies like Iskhak Bazarov to spread infamy across the United States. Iskhak Bazarov, the son of a wealthy potato thief and line patron, fled the Soviet Union just before World War II. His daring escape from a Soviet gulag, where he was imprisoned for bear thieving, was legendary among his countrymen. 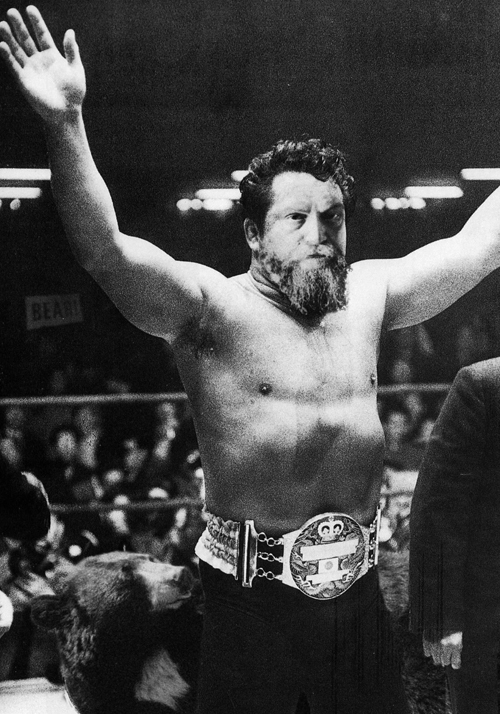 The Soviet government finally discovered his whereabouts in 1954 when his picture was on the front page of the Wisconsin Whistler for winning first place in a bear boxing match under the alias John “the escaped Russian prisoner” Smith. Iskhak Bazarov after one of his many bear fighting victories. Mr. Bazarov was given the choice of extradition to Siberia, or aiding the Soviet Union as a spy. 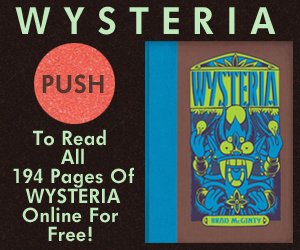 He was assigned the task of forming an American company that would become a front for the distribution of Soviet propaganda and the highly addictive GLORP Gum substitutes. He soon founded the Glorp Greeting Card Company in Minneapolis, MN, named after the nausea preventative beloved by so many US soldiers. 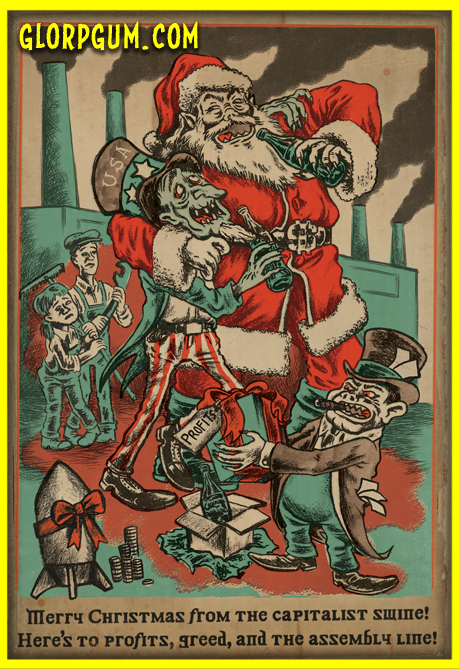 Iskhak created three different holiday cards for the Glorp Greeting Card Company, each with a special message designed to brainwash unsuspecting patriots. The first card was designed for the proletariat classes. 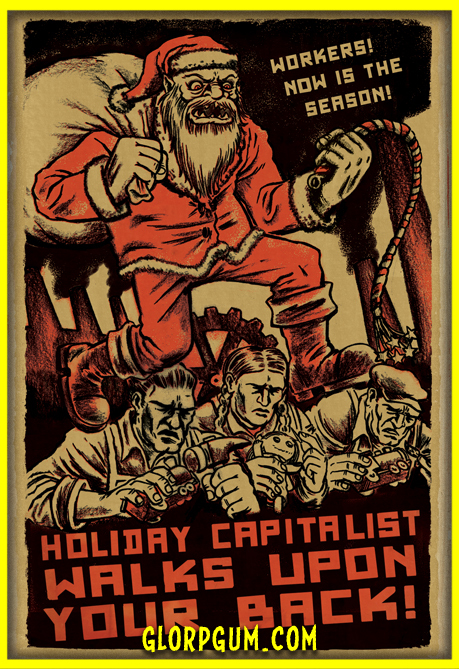 Knowing that the demands of consumerists were growing with each passing Christmas, Iskhak came to the conclusion that people who worked long hours manufacturing objects they could not afford would be of a “fertile mindset where the seeds of Communist fervor could bloom like a red rose covered in terrible, terrible, thorns.” The second card was aimed at wealthier patrons who ignored the plight of hardworking men and women, even while reaping the benefits of their labor. The Soviets sought to shine a Kremchkz (Soviet truthing mirror) on the their greed and perfidy, and believed that the wealthy would be smooshed with guilt and shame if their true natures were exposed. The third card took a friendlier approach. 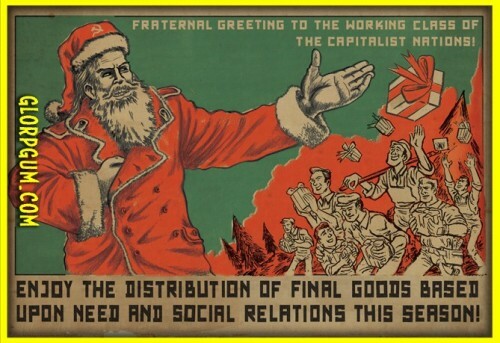 This card drew direct correlations between American’s rosy view of Santa Claus (and his distribution of goods equally to all boys and girls) and very idea of Communism. Although this was a bit of an ideological stretch, the purpose was to brainwash Americans to positively associate Communism with their most beloved Capitalist mascot. 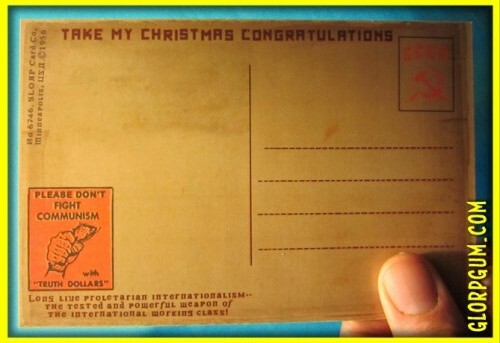 Just in case the message on the front of the cards was not clear, the back of the card endorsed Communist rhetoric like one beating a Zkhcmrk (Soviet dead horse). Needless to say, these cards were a miserable failure. Once the US government caught wind of this anti-Truth Dollars campaign they immediately seized the fraudulent company’s assets and arrested Mr. Bazarov. Iskhak promptly rolled over on his Commie overlords, spilling such valuable Soviet secrets such as a plan for a third Red Scare (Red Scare 2: Part 2), the whereabouts of US illegal resident networks, and the trade formula of a Communist soda pop called McThirstyism. Although Glorp Greeting Card Company is no more, you can still find these cards for sale through the GLORP Gum Company website. 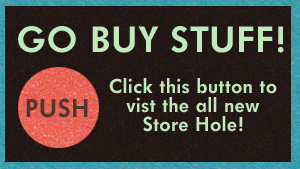 You can buy each one separately or go "Capitalist crazy" and get all three together in one set. They are strictly sold as souvenirs and in no way promote the ideals depicted on the cards. Magnificent as always. This stuff you’re putting out is phenomenal and fun.